Home › Bahrain › It’s a Small Island After All! It’s a Small Island After All! Yes I always emphasize the significance of education, of knowledge, and of understanding to the various aspects of what makes a society seem the way it is. Bahrain, The Kingdom of Bahrain, is a small Island, but yet many around the world and internally fail big time to understand the domestic politics. The way I see it, it is largely, and perhaps solely due to the fact that people in general lack the basics of Middle East history, Islamism, and the Khomeini Doctrine. Don’t worry, I’m not going to go all Professorial on you today, just read the below few lines to make sense of the reality on ground, here in this small, but lovely island. So here you go, make sure that you I don’t loose you while you continue reading below. In and around social media and digital media today, a number of active users and journalists claim that Bahrain is facing a public pro-democracy movement. This rhetoric is supported by many ‘Human Rights’ activists and political organizations in and out of the Island. On the other hand, government spokespeople say that these guys are all violent and supported by Iran. Then they go on saying that Iran considers Bahrain part of its territory. There are many truths in all the above, but the way I see it, it is like both are playing tennis, but on different courts. The problem is that some are overstating the truth, while others are unable to state the truth. Let me simplify things for you and give you a clear picture of Bahrain in just a few words. Every government around the world should work towards prosperity, as I have always said it before. The West sees democracy as a bridge towards prosperity, while others may respectively differ. Why is democracy not always a bridge towards prosperity? This is largely due to the different levels of education the general public has. It is easy to get into an argument, but not everyone can get themselves out of it. This is why top level education is a prerequisite to democracy. So let’s have that first. But education is simply not a factor by itself. You see, the reason why democracy came to being is because Europe was struggling from the Church rule, theocracy. This is why the concept of separation of church and state came into being. So, by default, if religious figures came into power and decided to introduce laws and regulations in accordance to religious beliefs, God’s orders, then a democracy would be overturned into a theocracy. Get it? Before I continue you have to also understand that I am not against any religious rule in Bahrain, I’m simply stating facts and my personal views are not reflected here. In the case of this small Island, after all, political organizations were not prohibited to be run by Islamic organizations. Hence, we have parties such AlAsala (Salafis), AlMinbar (Brotherhood), and AlWefaq (Shia Twelvism) all engaged in politics, each trying to pull the political spectrum towards their side. The two most feared in Bahrain are AlMinbar and AlWefaq, and here’s why. The Khomeini doctrine was actually inspired from the Muslim Brotherhood ideology, which does not believe in the existence of a nation-state. Unlike AlAsala, both these parties are unable to intake all prosperity principals because they conflict with their core beliefs. You’ve seen how AlWefaq were unable to vote for women’s rights when they were in Parliament, simply because the issue was not discussed at the higher council (Iraq) before. Bahrain is a beautiful country, and if you’re not engaged in politics you wouldn’t feel the shrugs of hungry political activists. I trust that our leadership are hungry for prosperity because the development wheel spun long before any of this began, so their’s no reactivity per say. 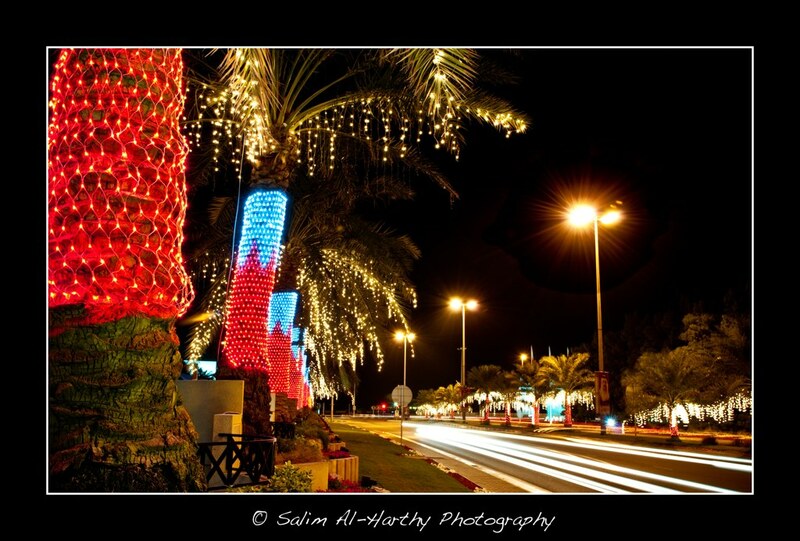 For now, let’s see what we have in common and build on it, our love to Bahrain is unquestioned. There’s no place for more than civility, respect, and unity here because it’s a small island after all! Congratulations for your spirit, your love to your County. The person who loves his country must be constructive and positive, and must not be destructive and negative. As you said : “There’s no place for more than civility, respect, and unity here because it’s a small island after all!” and also the best way to have the democracy is to establish the secularism which is the principle of separation of government institutions, and the persons mandated to represent the State, from religious institutions and religious dignitaries. In political terms, secularism is a movement towards the separation of religion and government. This can refer to reducing ties between a government and a state religion replacing laws based on scripture with civil laws, and eliminating discrimination on the basis of religion. This is said to add to democracy by protecting the rights of religious minorities. For Bahrain, this lovely small islands, where there is a mix of religions, I find that everybody can practice his own religion without any restrictions, and also the parliament of Bahrain is also mixed but I cannot bear that one political Party will have the right to establish any religious doctrine in this small islands, people must be more mature. The woman also must be more mature and must know that their rights are not under any religious Doctrine. Their rights are under the secularism which is now established in Bahrain. People shall know that the religious doctrines will stop the economic development. I would love to ask people to have a look on the world economic report for the last few years ago and they will notice that Bahrain is moving forward which shows that the current politicians in this small island are working hard for the best of this small islands. I would also ask people to have a look on the Fitch Rating of Bahrain which is very good and which also shows that the Politic of Bahrain is very good. I have seen also a complete separation between the Politic and the different Religions in this small island. Bahrain needs the same politicians who can continue what they have started. Nothing will happen in one day it is not a Miracle. Let’s be unified to go forward and stop those religious Doctrines that will stop all this economic development. GOOD FAITH and TOLERANCE are the best way to go forward and those are the principles of all the religions. And as John Lennon sung :”GIVE PEACE A CHANCE” and I think that all the religions with all their Doctrines are based on PEACE AND TOLERANCE which means to accept the other as he is without forcing him on something. This means democracy and unity. One of the best comments I ever had. Thanks a lot! You are welcome! my comment was not a compliment. It is my own observation and experience in your beautiful and lovely island. I have met one British person who is a member of a political Party, at this time his Party lost in the elections, and I find him very motivated to help the Political Party that won the elections. I was surprised and I inquired why he is helping them, he just replied :” BECAUSE I LOVE MY COUNTRY”. What he said stayed inscribed in my mind. And I have the same photo of this article. Great blog ! Your writings are exaclty what we need in Bahrain to start and continue an intelligent conversation about our political and economic status.And I do agree with the logic and flow of your argument. Education is imperative to the development of any country. However, I find what you stated here very disturbing: “the most two feared are alminbar and alwefaq”. How could you possibly put those two DIFFERENT political societies in an equel playing field ? Alwefaq has openly supported the protests in Bahrain and they have done so much harm in refusing to enter the national dialouge, and refusing the gov. and society’s attempts at large to rebuild national and socieltel unity . Also, where did you read that alminbar does not believe in a nation-state ? Again, I respect and enjoy reading all your blogs. Thank you for your kind words. The Muslim Brotherhood ideology, which is what Alislah Islamic Society follows, has a known history on this matter. I am simply connecting one thing to another. I mean no disrespect to any member of this society, but facts are facts. So how long shall we wait? What’s shall we do ? Why the system so corrupt ? Should I get upset ? This is certainly something very frustrating but I think we both agree that it is not an issue that someone should kill another for neither an issue specific for this country. Many factors play here but I do wish the best for your son. It is the norm and even worse know. Is Bahrain any worse than any other place ? Not really, injustice every were but in some countries the politician get the blame. Great article – brief and to the point, but with so much resonance.You are 100% right about the people who cheer from the sidelines- would they cheer so loudly if a theocracy were in place? I recently watched Argo, the usual US pamphlet drama (ME bad, US good) and just the image of Khomenei brought back so many memories. Ruling with Fear or with Love?